Measuring, mapping and understanding water risks around the globe. 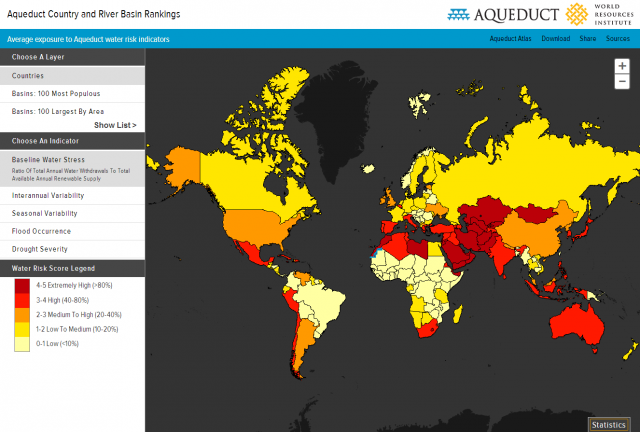 Aqueduct's global water risk mapping tool helps companies, investors, governments, and other users understand where and how water risks and opportunities are emerging worldwide. 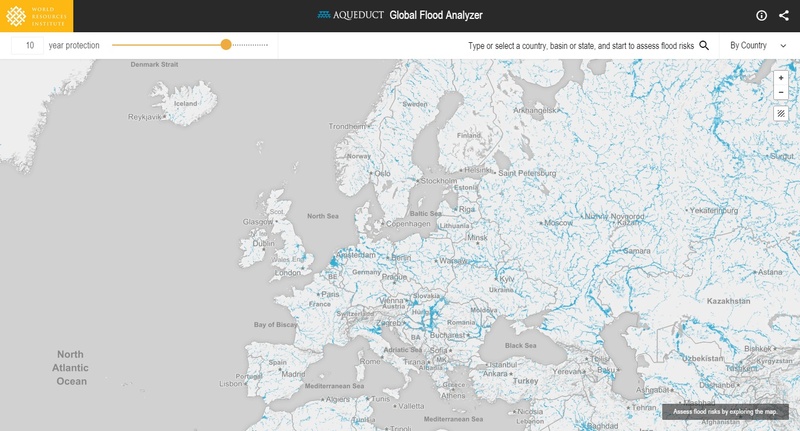 The Aqueduct Global Flood Analyzer is a web-based interactive platform which measures river flood impacts by urban damage, affected GDP, and affected population at the country, state, and river basin scale. This map shows countries and river basins' average exposure to five of Aqueduct's water risk indicators: baseline water stress, interannual variability, seasonal variability, flood occurrence, and drought severity.